Howmore is approximately half-way along South Uist and so was a useful location to build a bus depot.The stock of vehicles is regularly replaced as innovations in public transport are made, but for bus enthusiasts this is a haven. Some of the old David MacBrayne coaches have been restored and are maintained here. Their distinctive contours and colours revive memories of the fleet with which people identified travelling in the Highlands & Islands until 1970-72. 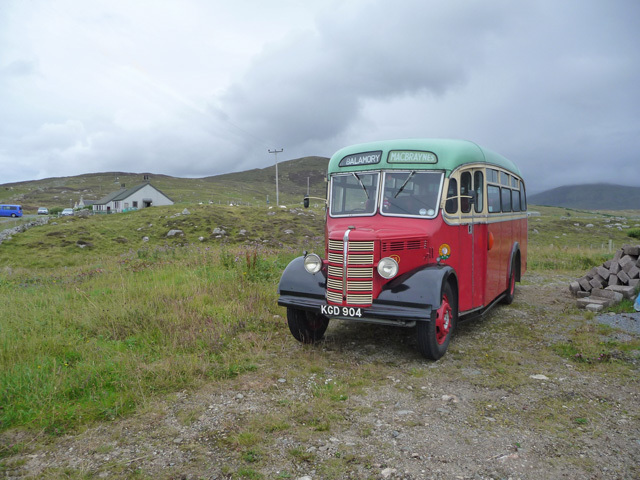 For more images of these vintage vehicles, go to The MacBrayne Circle website and savour the enthusiasm.